I started this Blog to minister to Women. I hope you will enjoy and let me know what I can do to better minister to you. Well it is Saturday morning and I have been working on Bethel's Website and flyers for the Upcoming Events. I have never felt so privileged to be doing something in my whole life. Well the next week they had a special speaker and we went and at the end of the service TR went up to ask Jesus into his heart. I was holding Chad and didn't move, the evangelist said for someone to take that baby and for me to come up to the altar and join my husband and receive Jesus. I felt like running the other direction, yes out the door and never look back. But I could feel the drawing of the Holy Spirit and went up with tears so big I thought they were making puddles on the floor. I felt such a peace and I felt like I was home and loved it. That was such a life changing night for our little family. I am so glad I would not want to go back to life without Jesus and our loving Church family. Now our boys have grown up and have their own family. We are so happy that they are raising their kids in church and living for God. What a Blessing to watch them grow up and hear them talk about the Lord and living the Christian life!!! Nothing could be better than that! I always want to talk about our kids and their family, guess that is a Mom thing, I am just so proud of them! Today I feel so thankful!!! I had a stroke last October and could not read or talk very well. I was like I wanted to do so many things, but couldn't. think how to do them. I remember it was so frustrating and to be honest I was scared I would be like that forever. I couldn't read at first and when I came home and got on the computer, I couldn't remember anything about it. I remember just like it was this morning crying and praying and asking my Lord to heal me so I could do the 2 things I love to do. I could not imagine not using my computer or being able to read my books or my Bible. Well I spent a lot of time in the bed and TR was the most wonderful husband!!! God Bless him! Kevin and Chad came and helped us and spent time with us. I went for over 2 months like that and one day I got up and ate my breakfast and I remember as if it was this morning. I went and opened my Bible and I could read and understand what I was reading, the words seemed like my friends. And the next morning I remember thinking well I am going to go on my computer and just see what all I can do. Well that day it seemed as if I had never been on a computer I couldn't even remember how to turn it on. TR came over and turned it on and stayed with me and showed me some basic things. I wanted to work on our church website but it took me a couple of months before I could understand how to do it. It has taken me since last October to complete this Website and change everything that needed to be changed. But I am so thankful that today I finished everything I was wanting to change and I feel like God is Healing me in every way and I am so tankful! Our God is so good and He is faithful! All of the people at Bethel and all of our friends for standing with us and praying and believing God for my Healing and for believing God for all of our needs to be met. I want to thank a very special friend, Becky has been so kind and has helped me so much with our Website and helping me feel like I can do it! Let me know if I can do anything for you or if you want me to pray for you. I am ready to see God move in mighty ways in your life. I want to thank everybody that has been so good to us! I want to thank everybody that brought us meals and everybody that came over and stayed with me so TR could go do the things he needed to do. And most of all thank you for praying for me and my family!!! God Bless all of you! I believe TR and I have grown during all of this and we are looking forward to ministering to the people at Bethel and our friends around the world! Calling All Moms! I am so excited! As I read my Bible, Pray and clean my house. I love my house clean and all ready. I have an excitement about all of the new things that will be opened up for us. As usual I have an excitement about the Word of God. I have found out the more I think I know the more I realize the more I don't know. Every time I study the Word I find things that amaze me and I wonder where it was the last time I read my Bible. Pastor and I live the Word of God we don't just preach about it. It is our life! This year I want to grow and develop in things I have interest in learning. My desire is to be the very best Linda that I can be for my wonderful Lord! I feel sorry for God's children when all they want is to remain the same. There is so much to learn and be involved in and in the process we can be a good witness and share our love for Jesus with others. Calling All Moms! Today I am watching the news about Isreal. There seems to be something different when I see them firing shots and hear what is going on in Isreal. My heart is heavy, Isreal holds a very special place in my heart. As a Christian I am praying that our President will support Isreal. Please join with me and lets pray. . God Bless! to be able to pray and agree with you. 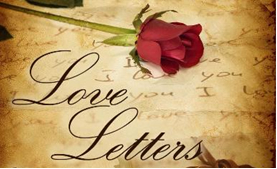 Below is The Father's Love Letters let it minister to you! I grew up in a home without a Dad. There was always something missing in my heart and life I spent a lot of time crying and wanting to have my Dad home. I always wanted a family like my friends had. But it wasn't until I was married and had 2 children of my own that I found my Heavenly Father. No matter where I am or what is going on in my life I now have my very own Father. The words below about my Heavenly Father mean so much to me. He is my very own heavenly Father and I can have Him with me all the time. Oh as a child I so would have loved to have known that he was there. That is why I have such a desire to minister to women and introduce them to him. I am now never alone crying in a room feeling like I had no one. He is always with me and I can talk to Him about anything and He hears me and loves me so much. I know that there are many women that need to have a relationship with Him. I pray that as you read these scriptures you will have the revelation of your Heavenly Father. Please feel free to call or email me, I would love to pray for you. This is the Father you have been looking for.